Dr. Wongpakaran takes part in The Last Hope (ความหวังสุดท้าย) a charity TV program on 7 September 2012 at Modern 9 TV. 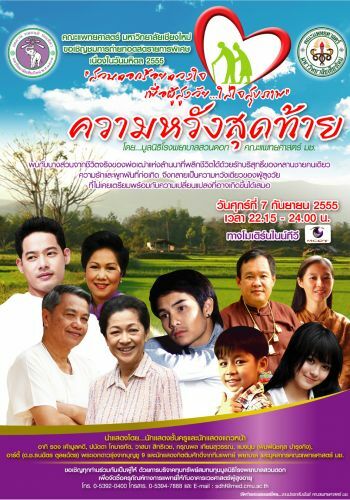 This TV program is an activity for Mahidol Festivities 2012. The team will roll their sleeves and have the worship ceremony on 15 Aug 2012. Dr. Wongpakaran will shoot on 17 Aug 2012.